In this belated sequel to Stephen King’s underrated directorial debut, Maximum Overdrive, humanity is long gone – the resistance displayed by the survivors in that movie utterly forgotten, and the cars given autonomous life by a freak cosmic accident rule the world. However, in a horrifying echo of George A Romero’s mall-shopping zombies in Dawn of the Dead, the cars continue to perform the mundane duties they undertook when mankind still lived, so we see them travelling along motorways, going on touring holidays, attending sports events, and so on. They lack the imagination to come up with new activities for themselves, now that their erstwhile masters are gone. Worst of all, like public schoolboys who grow up to beg a madam’s cane, they throw themselves into life-threatening high speed races, struggling to recapture excitement in what once was torture. In common with other recent children’s films, such as Ice Age and Robots, and of course with the aforementioned George A Romero, Cars takes an uncommon interest in entropy, and its ultimate expression, death. In Cars, to be built is to begin to rust; to turn on your engine is to become outdated – there will always be a newer model, and from the moment you are created you begin the fight against decrepitude. A depressing topic for an adult film, and even more so for a film made for children. And so, although the marketing for Cars betrays little of its origin, its themes perhaps stay closer to the horror of Stephen King’s work than you might imagine. 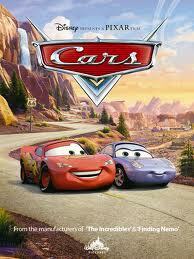 Cars, directed by John Lasseter / Joe Ranft (dirs). Film, US, 121 mins. Originally published in Theaker's Quarterly Fiction #12. NB: Howard Phillips is a fictional character.